Top of the Mornin' to ye all! Jodi, here today to bring you a little Irish spirit! 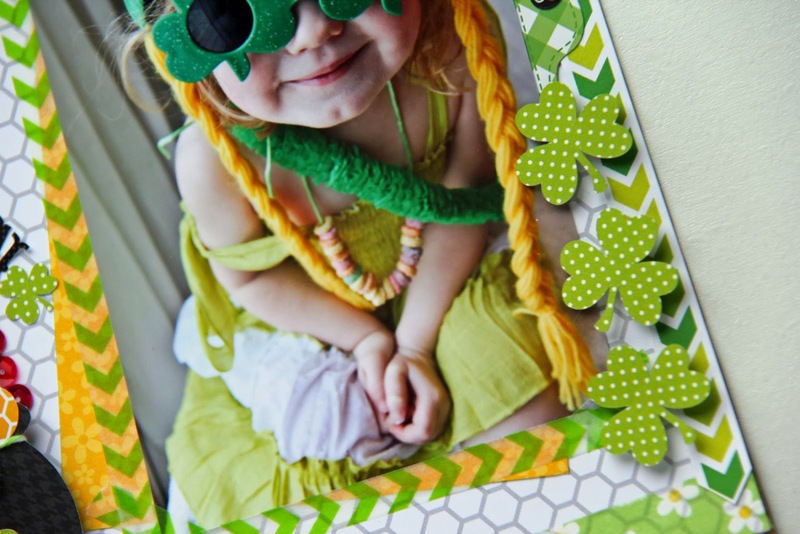 St. Patricks Day is one of my favorite holidays, my kids love dressing up like little leprechauns, and it also usually means Spring is on its way! Today, I thought I would share a fun layout I created using the Kraft in Color Collection! This collection is AMAZING! It is by far the most versatile line, and I love that it incorporates all the colors with the Kraft! It really makes the colors pop! On top of that it is so easy to pull colors to match your layout, that you could scrapbook almost anything with this collection! And finally, I KNEW I wanted to use the sequins from the moment I got them to create a rainbow of sparkle! To create the rainbow I started with a semi-circle that fit the space, then I lightly traced the curve. I then added the ladybug sequins over top of the traced curve. I then continued following the curve and following the colors of the rainbow. I then die cut a pop of gold to finish off the rainbow! Jodi, fabulous project!!! 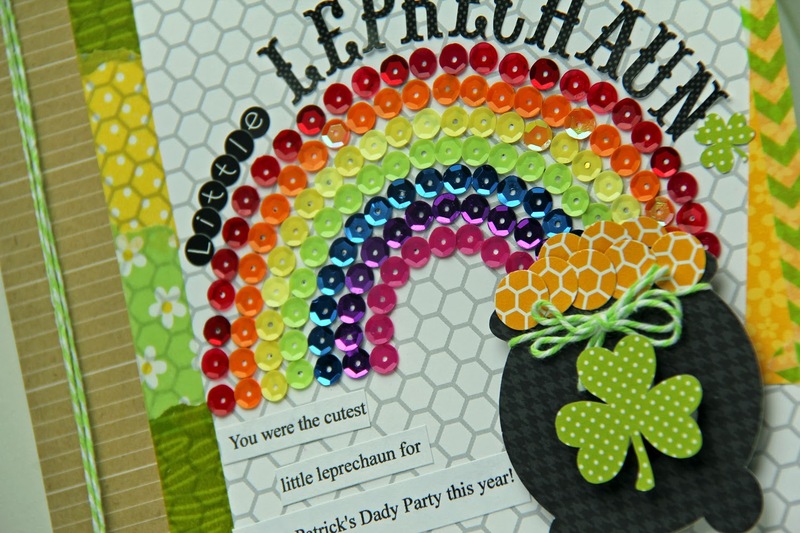 I'm in love with that sequin rainbow and that picture is way too cute! This is absolutely adorable! What a sweetie!! Love the rainbow. Amazing layout! I love every little detail about it, the rainbow is my absolute favorite! And that picture of your daughter is just precious! Super, super cute and LOVE the sequin rainbow!! Thanks to Doodlebug's amazing colors it is possible!! What fun! What a fun, fabulous layout! Your LO is so darling and beautiful wow!! You sure outdid yourself with amazing ideas. Your little one is absolutely a precious cutie patootie!! You truly are a very talented scrapper. I know all the hard creative work you put into this. I am a die hard scrapper and love it. I can tell without a doubt you totally create with passion. 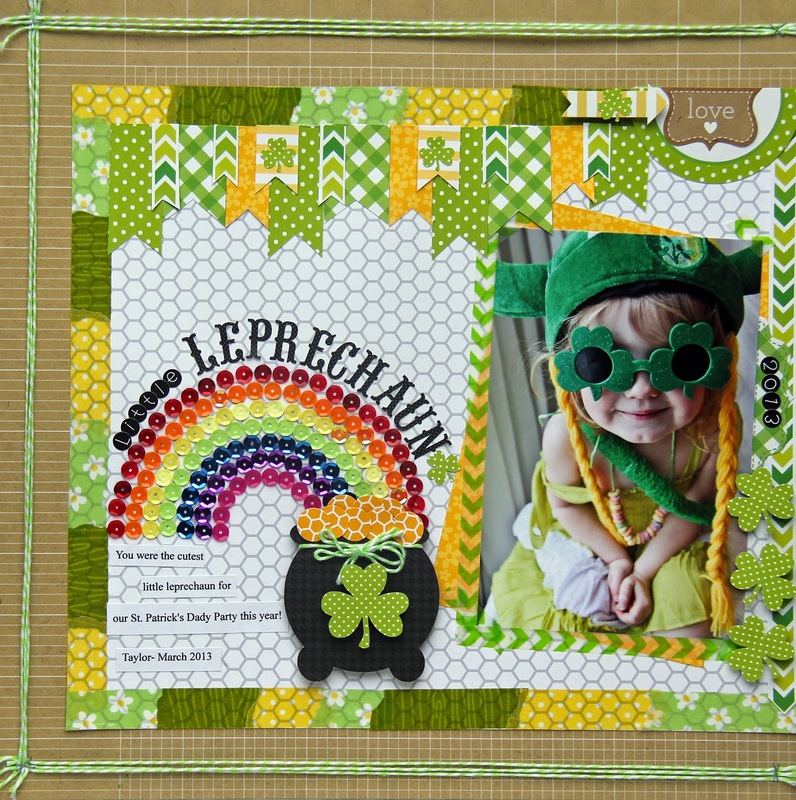 This is just the cutest page I have seen for St Patricks Day! Love all the colors of the rainbow and the Irish Green! FUN photo and FABULOUS layout Jodi!!! LOVE IT ALL, from your pretty papers to your stunning sequin rainbow!!! All those sequins look stunning!